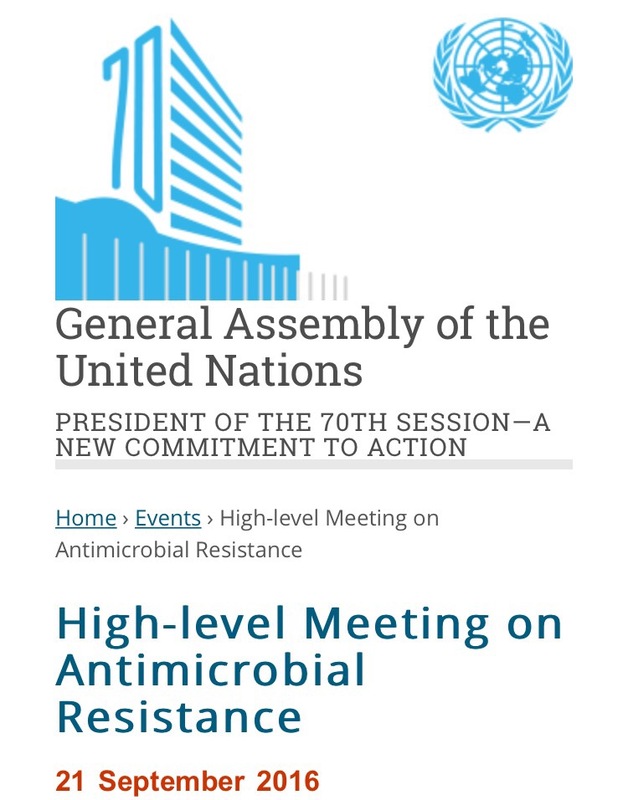 A month from now (21st September), the UN General Assembly will convene a one day high level meeting on antimicrobial resistance (AMR) in New York. The purpose is to “summon and maintain strong national, regional and international political commitment in addressing antimicrobial resistance comprehensively and multi-sectorally, and to increase and improve awareness of antimicrobial resistance.” In general, a positive development, particularly as the important roles played by the agricultural and animal husbandry industries are also recognised. In last week’s Policy Forum in the journal Science, Prof Woolhouse and co-authors from USA and China argued the case for specific global concrete targets for AMR control to arise from the September UN meeting, coupled with adequate financing and governance. One example given was to set national antibiotic consumption per capita targets. I think few would disagree with the need for hard targets, but to get global buy in and compliance is a difficult thing, and even then, targets are often missed, as in the case of global warming and climate change. Targets will also have to be chosen carefully. Sometimes, cause and effect can be difficult to ascertain, and the collateral damage from policies can be considerable. One of the most famous AMR control targets was the Labour Party’s 2004 election pledge to reduce MRSA bloodstream infections by 50% in all UK trusts over 5 years. And they were wildly successful, reducing the rates by 57% by March 2008, and the fall in MRSA infections have continued since. I have yet to meet a U.K. hospital senior executive from those years who did not complain about the raft of penalties imposed by the UK government (although they did not complain about the increased funding received to tackle the problem), but however it happened, MRSA control worked. In Singapore, when antimicrobial stewardship programmes (ASPs) were first put up for governmental funding in 2009/2010, one of the KPI’s was to reduce the prevalence of certain drug-resistant hospital bacteria (ESBL-producing Enterobacteriaceae) by a small percentage. However, this target could not be met because of the increased prevalence of ESBL carriage in the community, and the importation and subsequent spread of carbapenemase-producing Enterobacteriaceae since 2010 compounded the perceived ineffectiveness of ASPs (thankfully not a lasting perception).